More 5,000,000 downloads(the paid and free version) all over the world! More than 1000 amazing levels created by users! You need to get to the end of the road, not crashing. 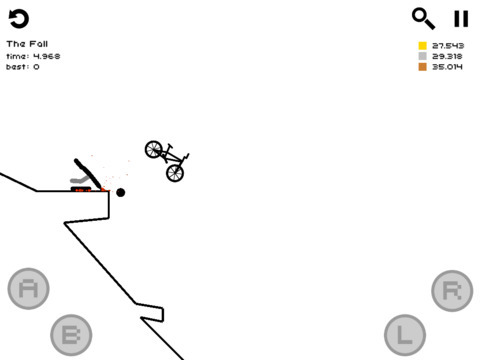 The game is made in black and white style, and has realistic physics. You will find a wide variety of trails, and using the level editor you can create a track of your dreams and share them with other players. If you have any problems with installation or in-app purchase, found bugs, questions, comments about this application, you can visit the official website of Anton Vazhinsky at http://17studio.tumblr.com. - Thank you all for the positive feedback on the game!